Kansas has twelve byways, nine scenic, two of which are National Scenic Byways and three historic byways. Over a millennium, geologic shifts shaped the state&apos;s landscape to create a scenic backdrop for travelers. 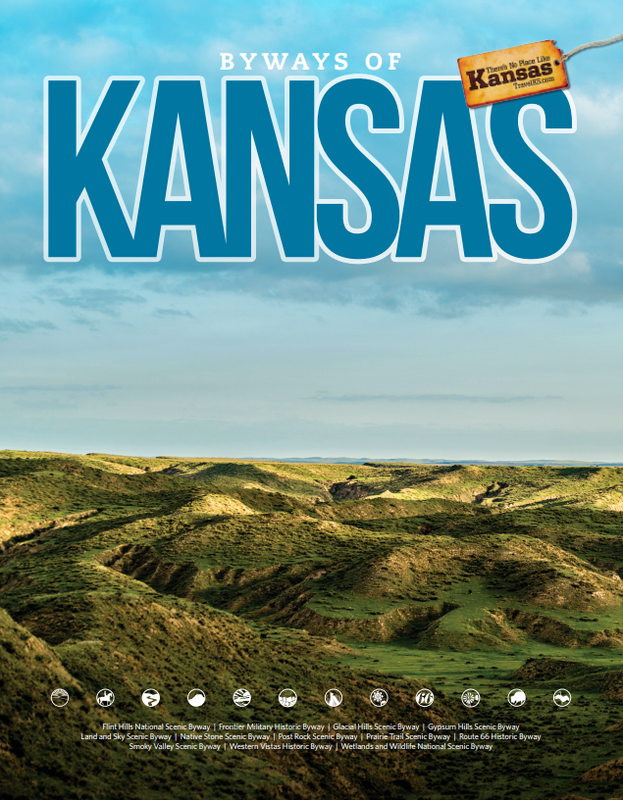 Follow the paths of great expedition teams and adventurers to see where history happened along Kansas&apos; 12 distinctive byways. During the journey, visit museums and shops or enjoy local dining and lodging to create your own byway experience. Check out our Byway videos...where will you go next? You can view the digital guide by clicking the image above. To receive your own guide, please click here.